Don't fear the weather! It's waterproof. I mentioned last week that I had a new brooks C-17 to put on my Twin Six Standard Rando. Well, I did get that on there and I have ridden it for a couple of hours now. Before I get into the ride impressions, I'll give you all that may not know about these saddles a bit of back ground. Brooks saddles traditionally were all leather and as such, weren't good to get wet. Wet leather stretches, shrinks, cracks, and rots, which leaves you with a not so great leather saddle, eventually. Now, I own two Brooks leather B-17 models, and I tend to try to only ride them when it is drier to save myself the trouble of covering it when it is raining or from having to do maintenance sooner than I'd like, which is basically never for a bicycle saddle. That's the unvarnished truth. Saddle maintenance seems like an oxymoron. Saddles should be ridden until such time that they fall apart, break down, and/or hurt your posterior. Hopefully that is a ton of miles down the road or trail. Yes.....I have done maintenance on my Brooks, but I'd rather not have to get another one to take care of. Enter the Cambium series of saddles which has tackled the issue of weather by using vulcanized rubber and organic cotton as a material instead of leather. This is stretched across a simple frame work, much like an original Brooks, only the materials are different. The frame is an aluminum casting for the back and front with steel rails and the rivets are a two piece affair and are screwed together instead of the usual method which is used on the leather models. The C-17 is roughly the same dimensions as a B-17, so I opted to purchase that model. However; there are two narrower choices in the C-15 and C-13. Shorter "S" designated models are recommended for females. My C-17 weighed in at 410 grams, so not a lightweight saddle at all, but not as heavy as a leather Brooks either, which are typically in the 500+ gram range. First Impressions: Out of the box the Cambium feels stiff and hard, but that's because it needs the full weight of your body on it to work in the desired fashion. In fact, if you have the saddle mounted on a seat post and that inserted securely into a frame, the shell of the Cambium has a nice, flexible feel, so do not think it is stiff and hard if you handle it in the box. The Cambium C-17 comes in a few colors and mine is "Slate". It is a grayish-blue hue, and it goes well with the T-6's graphics. It mounted well and I set it up with the "peak", or nose of the saddle, slightly upward as recommended. The first time I sat on it I could feel that it had a flexible shell and I thought it might be too soft. However; after a few minutes of riding the saddle I never even noticed the flexible shell. It basically was one of those invisible component moments. Let's hope it stays that way. The underside of the saddle shows the natural vulcanized rubber shell. Obviously it is hard to make any judgments about a saddle after one, two hour long ride, but at least I didn't feel any negatives while trying it out. Miraculously the slightly tilted up nose was at least close to perfectly set for me. I may want to make a fine tune adjustment later, but for now I am sticking with what I have it set at now. Other than that, so far......so good. I am a big believer in the "3+ hour rule". That rule says that any saddle worth keeping will still be comfortable after three hours straight of riding. At least from my experience, this seems to hold true. I have been on many saddles that were fantastic feeling up to the three hour mark but after that became a torture device. Brooks B-17 models have passed this test with me, so I am hopeful this one will as well. The Brooks site is interesting in that for any model they sell they list the good words from customers as well as the bad ones. It's pretty hilarious, actually, because there are as many horror stories about the C-17 as there are glowing praises. I know that from my own research amongst users I know and from bike shop folks who have direct feedback to share, the C-17 seems to either fit like a dream and be a rider's favorite saddle, or it isn't at all a good feeling one, and the buyer flips it almost immediately. I will say that I am pretty sure I am not flipping this saddle soon, but we will wait for that three plus hour ride to happen and then we will all know. I once had a fizik Arione saddle I thought was the bees knees until I rode it more than three hours than I immediately ditched it. Tony, his Fargo, and my BMC "Orange Crush"
Holiday weekends are often so packed full of activities that we tend to lose the handle on what the heck the whole day off is for in the first place. So, I would like to say Thank You to all Veterans and those still serving. This man appreciates all they have dome, are doing, and will do so I have freedom and the country I live in. I hope that you take a moment to make your own observations on this holiday and what it means to you. This begins a weird week for me. I have Tuesday and Wednesday at work, then I am leaving with that guy in the image here today to travel to the Dirty Kanza 200. I won't be racing, but I am taking a bicycle to ride while I am down there. I'm going to plan on a solo ride while the DK is on, ( not on the course), so I can do some testing of some stuff and get in more miles before Odin's Revenge. Then after four more days off I'll come back and get back into work mode again. That'll be really weird. I won't know what day it even is by then! I may not even get regular posts up on here whilst I am gallivanting around the Mid-West. Apologies beforehand and a forewarning. The grass is getting really tall out there now! My Standard Rando just about disappears here. Old power line posts all used to have these ID tags. The cement post usually meant that it marked a survey point on a farm. The "big rock" of Big Rock Road. And a pile of "little" rocks to go with that. Orderly lines of emerging crops bordering a chaotic water drainage. A small smattering of flowers. The ditches are full of wild roses and other colors right now. I'll have to go out and track down some more images of those. The one and only checkpoint at the first DK200- That's my Inbred there. 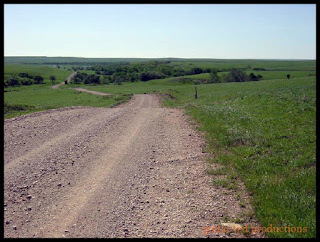 Ten years ago this week on the blog I ran down more of my Dirty Kanza 200 experience. It didn't end the way I wanted it to, but it went like about the rest of my attempts have- I start out well, run out of water, get hot, and fade to black. It's been like that at almost every hot, dry gravel event I've ever done. I have a lot of trouble in heat. Still......I keep on trying. I know....... I'm insane. Anyway, the event was so tiny and grassroots, "under the radar" that I almost laughed when I went back and researched this for the post today. I mean- just look at this image. Can you imagine that this is a checkpoint image from a Dirty Kanza event? That table and tent is the checkpoint folks. That was it! You all know that the Dirty Kanza is about a universe away from where it came from in those days, right? I mean.....wow! It really hit me when I think about this and my experience that I had at the DK200 last year. Then the other thing was my bike. I just got that frame back again, and I was thinking how a lot of the parts are long gone now. But, actually, they are not. I realized that I put that seat post mounted water bottle cage on that Salsa Shaft seat post in 2006, and then I transferred that over to my OS Bikes Blackbuck in '07, where it stayed until last year. Then I moved it to my 1X1 Surly. Only the saddle was changed. The head set is still in my Blackbuck, and the brake levers are on that bike yet too. The crank is on my Pofahl, and I still have the rear hub in a fat bike wheel. Good parts never leave you, even though the bikes may move on, eh? So, will I try to recreate that build? Nah! I'll do another one, but I still haven't figured out whether or not it will be a geared or single speed build. There are a few things I am proud of in terms of my life's accomplishments, but maybe none more so than being involved in Darin, "Ears" Kueker's life. Well, it may not seem like much to you, but to me, it means a lot. You see, when I met Ears, he was a teenager living in a trailer home mostly unattended. He has a mother, but she was mostly absent and Ears was pretty much on his own. That was where he was at when I met him in 1994 or so. I'll spare you the details, but between myself and a few other people, we invested into Darin's life and made sure he was okay. He actually lived with me for a spell back in the day. Anyway, I consider him a "son" of sorts, and when I get to see him, it is a big deal to me. So, I was super stoked when I heard Darin call out my name while I was commuting home. He was back in the area on not so great terms- his mother has contracted cancer- and he was looking for me at the bike shop, but caught me on my commute home instead. We talked for about 45 minutes on the side of the road, and it was a good time. A great time, really. Anyway, there is a lot more to this story, but suffice it to say, it is the people you touch, invest into, and have relationship with that are the most valuable things in this life. That's my opinion, anyway, and I think it is pretty spot on. Good to see you again, Ears. Rock on! I have been getting in some rides on the Twin Six Standard Rando lately. I had this bike in mothballs so long awaiting the wheels I needed to get the thing going that I forgot how it rode. Well, besides a saddle that has given me fits off and on, I remembered why it was that I liked this bike so well. That is because it rides so smoothly. It points out a fatal flaw that a lot of the so-called "gravel/adventure" bikes have that are coming out of the woodwork these days. That being that, for some unknown reason, they ride horribly on..........wait for it- gravel! Yes, I know.....you'd think that would be accounted for, but apparently riding over crushed rock and the vibrations that can cause seem to have slipped the minds of these folks. The main culprit here are carbon fiber forks, none of which, (yes, I said none), are designed in such a way that they can even come close to absorbing the chatter of a gravel road like a good steel fork can. Some of these bikes don't even have a good back end to make up for it either. Think I'm the only one complaining? Read this review and see what I mean. I'm not the only person noticing this. The trouble is that it seems as though bike designers are finding it hard to actually design specifically for off pavement riding because it is so misunderstood by the masses that they err to the road bike side. Either that or they are popping out "me too" designs to capitalize on a trend without investing much into R&D. Yeah....... You decide which. Anyway, the saddle. Right. I decided upon a Brooks C-17. It should be on the bike over the weekend. Stay tuned for what I think about that coming up soon. Hoping to see more of this over the weekend. Of course, this is a big holiday weekend. Memorial Day is the traditional start to Summer for many of us Mid-Westerners, and the weather has sure cooperated with that notion of late. It has been in the 80's, humid, and we've had some nasty thunderstorms that have torn up the woodlands around here of late. Traditionally we get some wet weather on this holiday around here as well. I just hope I get a window of opportunity to get a ride in. Maybe two. One of those will be a traditional 3GR ride from the usual place on Saturday morning at 8:30am, as long as it isn't raining or worse! We'll see about that. So, you all have a great weekend. Stay safe, have fun, and say thanks to those who have served and are serving in the military. Remember your loved ones. Happy Memorial Day Weekend! You may not be in the bicycle industry, but if you are, you've likely already have heard about Canyon Bikes and their planned entrance to the US market in Spring of next year. The details of the story are best read here, so I won't bother with all of that. What I wanted to discuss today is how changes are coming to the bicycle industry, and how Canyon's presence here may hasten that change. The bicycle industry has been mostly stagnant, or arguably decreasing in size, since 2000 or so. The industry, largely entrenched in its ways developed over the past 40 years or more, hasn't fundamentally changed the way it does its business internally or externally. This is about to be changed, is changing now, and will change more over the next ten years. My prediction is that what we see as a "bike shop" now will not exist in ten years. Oh, there still will be bicycles, and they will still be sold, serviced, and replaced in time with newer ones, but the way we see that being done is going to be very different in the very near future. Direct to consumer bicycles are not anything new, but let me be clear- what you get from this channel now is sub par compared to traditional bike shop brands. I know, I know..... Those of you that own such bikes are going to get your hackles up and say I'm wrong, I'm being a snob, or whatever. But just you wait and see what Canyon Bikes will be offering. We're talking bikes that will blow a Motobecane out of the water when it comes to the levels of engineering and performance, and you'll barely have to assemble anything when it comes to your door. There is zero comparison to what Canyon Bikes is doing with anything currently available direct to consumer in the US now, and even the big bike brands know this. Take for instance the Dude fat bike, which is on par with anything any other company does for a carbon fat bike. 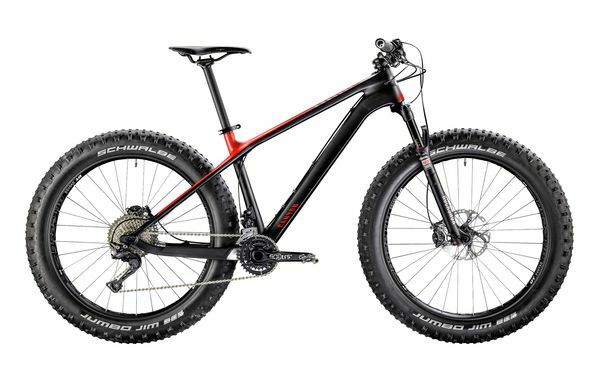 Most of these top of the line carbon fat bikes are 5G plus. The Dude? If Canyon was selling it here today it would go for sub-$3300.00. That's a substantial difference that many won't ignore. I can tell you that the established brands here are not ignoring this. Trek started offering their bikes on-line last year, and soon the other big brands followed suit. The convenience of buying from home though is not going to be enough, and in the case of the other brands, you still have to pick up your purchase at a shop. Canyon won't be hamstrung by such limitations. That's going to force the hand of the established companies in some way if Canyon makes any sort of a dint in the marketplace, because there isn't enough "pie" to go around now, much less if Canyon takes a slice. While that sounds dire, it may not be the biggest motivation for change in the marketplace of bicycles. There are many internal issues within the industry itself which are unsustainable, not to mention how bike shops themselves are operated. Many stories about that can be found all over, but suffice it to say that change is in the wind and even without Canyon's influence, the changes would happen. I just think it may be sooner than it would have been with their entering the US marketplace. Last week I wrote about how an off road drop bar design's radius maters to the overall set up of an off road drop bar. You can reference that post by clicking here. This time I am going to cover why a couple of bars have gotten the design more right than wrong. Hopefully this will help you find a bar for off road drop bar use on your steed of choice. Wide tops, enough flare to clear your wrists, and a decent amount of sweep. Let's consider what is generally thought of as "good" when it comes to a typical off road/mountain biking handle bar. One of the latest trends is for a really, really wide bar and a short stem. It used to be that it was the other way around- really narrow bars and a really long stem. Either way, what the idea is that the bars and stem are working together to give the rider maximum leverage over their front wheel. Keeping that front wheel going where you intend to point it is crucial to having a good experience on an off road adventure. Off road drop bars can be tough to comprehend in terms of set up, because the bar itself has a component of "reach", which is usually in the realm of what the stem is for. I'll cover off road drop bar stems in another post, because besides radius, they are one of the most critical parts of an off road drop bar set up. So, let's talk about why you would want a drop bar design for off road riding with a wider top. Looking at our flat bar users, we see that the wider bar, as well as the tops of an off road drop bar, are going to pretty much determine where the controls end up being in space. Typically you're going to want wider tops than narrower on your drop bar set up for control reasons, just like flat bar users do. This can be tough to find in an off road drop bar. That is because several off road drop bars have flared drops that are at such a severe angle that the slanted in drop section took away from the width of the bar overall. This puts the hoods at a much narrower point, not to mention slanted over on their sides more, which is putting your hands in a narrower stance if you are on the hoods. This makes riding the hoods less appealing, or not at all appealing, depending upon the radius of the drops. While being in the drops is where your set up should be focused upon, having a hoods position compromised due to excessive flare is not ideal. Remember- flare on the drops is there to clear your wrists and forearms while down in the drops. Enough flare for that is plenty, We don't need more. The ramps shouldn't "reach" out too far forward of the top section. "Reach" is how far forward from the tops that the ramp section sticks outward to the front of the bike. The point where your levers mount is usually the most forward part, or should be. Levers that have to mount downward from a point level with the tops create another odd hoods position, which, again- is not necessary or desirable. Besides the inherent reach in the bars, we have stems from less than 50mm all the way beyond 100mm and less reach means we can usually use a "normal" length stem so that we are not locked into finding a short reach/high angle stem, which there are very few of out there these days. Remember- stems will be covered later. Again, due to stem limitations, we don't want to have a ton of "drop" either. Drop is the distance from the tops to where your hands will grip the extensions while in the drops. Deep drops are harder to use since they require a higher rise stem, and again- those are tougher to source without going custom. Besides, a slight difference in height for positions from "in the drops" to "on the tops" is easier to negotiate off road. Obviously, weirder radius bends can cause the extensions to have "constantly varying drop" which can get so radical the extensions/drop position is essentially unusable. The bars with a tighter radius bend tend to have the most usable positions because of this. The Cowchipper has a reasonable swept extension outwards which should appeal to most riders. Sweep is how the extensions are bent to "sweep" outwards from the bottom of the drop sections radius bend. The Woodchipper and the sadly defunct Luxy Bar have what I would term as "radical" extension sweep. This appeals to those riders who find bars like the Jones Bar appealing but want the variety of positions a good drop bar can give in different levels. (High/sitting up and Low/bent over) Less sweep is found in a bar like the Cowchipper, which is less radical but still allows for a nice, ergonomic feel and helps with the "elbows out", attack position for off road riding. The Midge Bar/June Bug Bar fall into this less radical sweep category as well. The extensions length is the final piece of the puzzle and that is a personal preference that each rider can decide on for themselves. Midge Bar/June Bug Bar models tend to the minimalist side, offering only one good grip at the extensions, while a Cowchipper gives you room to move. So, to close on the design aspects of an off road drop bar, radius is the foundation. Too "open" and/or deep, the more that compromises the end user in terms of various options in set up and positions. Extensions that are more closely in parallel to the ramps work better in this regard. Then too, a long reach, or too much flare can take away from options for set up and this needlessly so because those things, when used too much, can actually render a bar less suited for off road use. Finally, swept extensions are great, and having options would be good, but as of now the only decent, highly swept off road drop is the Woodchipper. Extension length is a personal preference and shorter or longer really makes no difference in set up. Finally, I wanted to tackle the questions about these sorts of bars and gravel road/touring use. In my opinion, we do not really need these sorts of bars for gravel road riding, although there are races/events/rides where things get rough and the control an off road drop bar lends a rider would be a nice option. I feel a wide road bar is definitely a good choice for gravel roads, and in my humble opinion, the Cowbell Bar by Salsa Cycles is the classic gravel road cycling bar. Some may say the Nitto Randonneur bar is better, or that some other bar is best, but for a road based design with modern features, a Cowbell is the bees knees with just enough flare and sweep to keep you in control. Next time I'll talk about stems and how frame design plays into how you choose a stem. 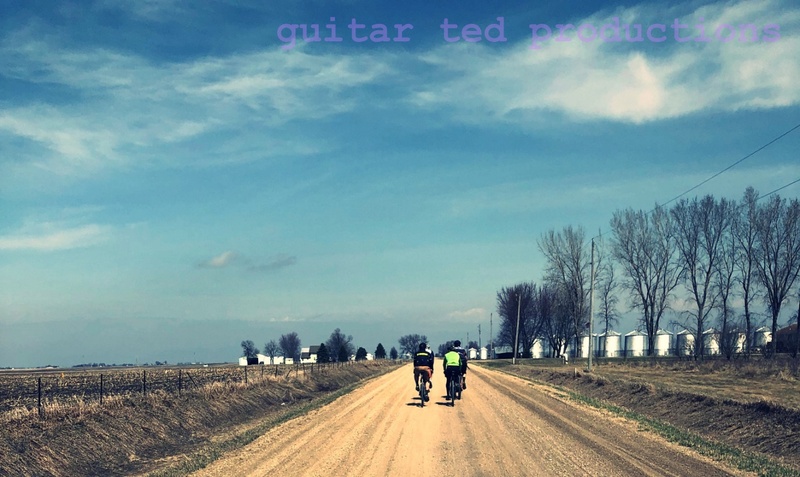 The Lube Off moves into Summer Mode once again and to recap for those of you that are new to this, or may have lost track, the Lube off is a chain lube test for gravel road use. Take what you will from this, but this is mostly about my personal quest to find the best chain lubrication for my gravel road going bicycles. So far my top lubes are DuMonde Tech, Rock & Roll Gold, and Pro Gold ProLink. Today I wanted to talk about a couple of lubricants that I used in the colder, wetter times of Spring on up to the drier, dustier times of the last few weeks. First up is Smooth Operator lube. Click that link there and you will get a much more detailed view on this lube from me, but as far as general gravel road use, I will reiterate that this is good stuff, but you have to clean and reapply regularly. This stuff won't get you much more than a couple of dry, dusty rides in before you'll want to clean things up and reapply it because, while it's fairly clean, it still attracts dust. When things get wet, it works better, since it still lubricates, but stays on the chain and doesn't attract as much grit. I'll keep on using what I was sent till its gone, but there are less labor intensive solutions for sure. Call this one a technical knockout. The next lube up, Chain-L lube, is a lube I got a sample of somewhere along the line, but I cannot remember how. Anyway, this stuff came highly recommended by a few trusted sources, so I was preset for high expectations going into using this stuff. However; I was sorely disappointed, even after some tips I was given on its usage. I won't belabor the point here, but the bottom line is that Chain-L is a sticky, gooey lube that you must use as sparingly as possible. Even then I found that dust came on to the chain as if they were iron filings sticking to a magnet. After each application I cleaned the drive train and then carefully lubed with as little of this stuff as I could, but the chain would come back dry and covered in a sticky, dirty goo. Well, that is a recipe for tearing up a drive train sooner than necessary, especially in dusty conditions. By the way, you'd think that really wet, muddy conditions would be better, but that's not what I found. The stickiness of this lube still attracted dirt and grit to the point that I was displeased. I cannot reconcile why my experiences were so bad with this stuff while some folks, whose opinions I trust, have had nothing but great experiences with Chain-L, but there ya go. You won't catch me using this on my gravel bikes again. Not when competing products I have tried are obviously outperforming Chain-L in the conditions I am testing in. Call this one a knockout in the first round. Okay, one more time! I figured I would throw up one last download of pics I've taken on a recent ride. Spring is about played out here now. Farmers have been planting beans and the corn has emerged. Flowers are in the ditches and all the trees have leaves now. Spring has sprung, as they say, and it sure feels like Summer now. So, here's the last "Spring In The Country" post for 2016. The first cutting of hay I've seen this year. The day was about as perfect as one could ask for. Warm, little wind, and bright sunny skies with a few puffy clouds passing over head. A week ago I was freezing in the gales of the Almanzo 100. Saturday I was basking in Summer-like warmth. What a difference a week makes! A barn quilt and a metal serpent! I pass this farm on the West side of Burton Avenue going North just before crossing Dunkerton Road. You should go by here if you live in the area. This fellow has a lot of metal sculptures in his yard made from scrap farm implements. I get a kick out of them every time I go by. Going steadily up against a light North wind. I ended up crossing East on Gresham Road. I stopped at a bridge without railings (!!) and there was a nice wooded area off to the South along a creek and an abandoned rail line. I heard copious amounts of songbirds and I scared up a couple of deer. I found the huge rock piles I've past by a bunch of times catching my eyes on this ride. Iowa has been ground down by glaciers over thousands of years by the various phases of the Ice Age. That action brought a lot of rock along with the glaciers and when they melted, they deposited these huge rocks and many millions of smaller ones that farmers have "rock picked" out of the soil over the past 150 years or so that this land has been tilled. I probably passed a half dozen of these monster piles of rock just on this ride. The ditches are starting to become speckled with clumps of these pink, whitish, and lavender flowers. Stopped to reload the planter. I had a great ride Saturday. It wasn't all that long, or spectacular, but as I often think to myself, it is good medicine for the mind and the soul. I made my way home through down town Waterloo, hit the house, had a great lunch, and mowed the lawn. Then I settled in to watch the race on the television and called it a night. But the best part of the day, for sure, was the bike ride to start it all. 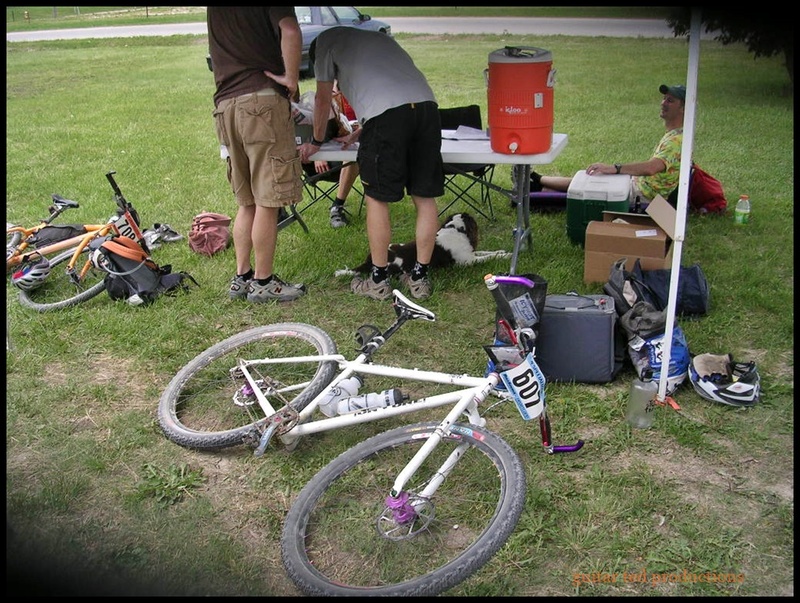 Ten years ago on the blog this week things were dominated by my attendance at the inaugural Dirty Kanza 200 event. It was a momentous weekend on many levels. It marked the first time I had ridden competitively since about ten years prior, and it was also my first rodeo when it came to gravel road events. Well......riding in gravel road events, that is. 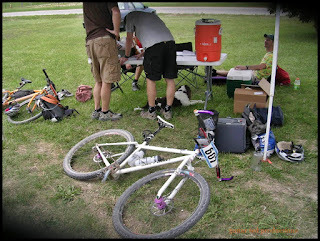 My first experience in gravel road events was promoting and organizing T.I.v1, of course, the year before. It was the first time I had ever met David Pals. We were made aware of each other via this blog, as he used to post comments on here back in the day. He got a hold of me and we made arrangements to rendezvous in Des Moines, Iowa at my sister's house. David made a sign he had in the window of his car which looked like a road sign and used my "man smashing a guitar" avatar with the words "GT On Board". I still have it on my work bench at work. Yeah.....go ahead. Call me sentimental. I also still have my first DK200 number plate, so there! The event didn't go as I wished, as I got dizzified at the halfway checkpoint and dropped out with Dejay Birtch and a few others. I'd never met Dejay before. At the time he was sponsored by Niner Bikes and I got my very first up close look at one back then. He was a hoot, of course, as always. I ended up sagging a ride back to Emporia where the finish line for the event was basically a pop up tent in the parking lot of a motel. There were a few onlookers and more than a few of us that didn't finish just hanging out. I remember seeing all 15 finishers that year, ordering pizza from the parking lot, and watching the lightning come up as a big ol' thunderstorm rolled up on Emporia. David was still out there, and it was crazy with lightning, thunder, and it was raining hard. We got word that David had been struck by a car coming into town, but Joel Dyke said he was going to be okay. It was quite the dramatic end to the first DK 200, as David was the last finisher. I'll never forget that experience. Maybe that's why I've hung on to those two bits of paper memorabilia all these years. From the post-DK200 cleaning. My Fat Fargo w/Cowchipper installed. I've gotten a lot of nice comments from you- the readers- on my Drop Bar 101 article from earlier this week. Thank you, I appreciate all the feedback. It means a lot to me. I didn't want to leave it there though, and I have been contemplating the next post in the series. Look for that to appear next week, most likely. I'll also post up some quotes and links to reference material I have used over the years to get where i am today on all this drop bar stuff. Finally, I am going to point out what I believe differentiates the off road drop bar from others that are more gravel road friendly designs. Got an idea for me? Hit me up in the comments section. Okay, so I got these new gravel road going tires which will get reviewed on RidingGravel.com soon. I'll spare the details on that in lieu of the upcoming post on that site. However; in speaking with the representative of the company here in the US, I have heard about a couple of interesting models they will be introducing here later in the year. One is a "plus sized" tire, which I would assume is based on the 27.5"er size. The other is something I've wanted to try out for a long time. A high TPI count, tubeless studded tire. Obviously for Winter usage, but it is the tubeless thing I was hearing that pricked up my ears. Studded tires which are tubed are really bad. Sluggish, slow, heavy. Just the worst to ride. Tubeless designed studded tires should help those things a lot. More as I find out about them. Okay, so here's the deal this year. I will be down to Emporia Kansas during the Dirty Kanza 200 weekend. I won't be riding in it. I didn't wake up early enough the day the registration opened, and well...... Anyhow, I'll be down there, so I figured on doing some RidingGravel.com stuff while I was down there. I'll have stickers to hand out, so if you see me down there, hit me up for some. I may have another odd item or two along with me as well, so don't be afraid to stop and say hello while I am running around down there on Friday. So, as far as the rest of the time there, I think I'll be dragging down a bike and doing a ride of my own. Obviously, I'll be staying clear of that whole DK200 thing if I do that. It's a thought, nothing planned for certain as yet. Okay, that's a wrap on this week. Hope y'all have a great weekend and that you get some good riding in. What a great day for a ride. Big sky over Iowa. I took an Eastward turn and added about 11 miles to the normal loop. I was figuring on this and also adding on the old front end of the original 3GR loop out of Cedar Falls. I was hoping that might add up to 63 miles, but since I don't have a computer or Garmin on the bike, I was left to guess. At any rate, I got in about six miles of road I'd never ridden before, so that was nice. A lazy wind was in my face at this point, and the gravel was fairly fresh, so I had a bit higher resistance while heading Eastward. Some fine looking horses here. I was obliged to take a mile section of pavement North. Blecch! Not my favorite thing to do, but it didn't last long! I headed back Westward and with that light tail wind and flatter roads, I was hauling. Despite the rough, fresh gravel, I was making great time through here. My left shoulder has been giving me fits on occasion, and this was one of those occasions. I figured on taking a break when I hit my Northward turn. That came a lot sooner than I had expected too. School House #1: My first rest stop on the ride. We stopped at Bennington #4 School last year on a Geezer Ride. It was abandoned as a school and put to use as a hay storage unit for years. You can imagine the rot that induced! It is amazing that it was brought back from such a state and that it now stands as a historical reminder of Iowa's rural one room school houses that dotted the countryside at one time. I didn't see but one tractor out in the fields on my ride. many fields looked freshly planted, and where corn had been put in, little emergent corn plants could be seen straining toward the Sun. Bean planting time is about now, so I suspect much of what I saw freshly put in was put in as beans. Before long I was back on the original 3GR course and headed up 250th Street. The road climbs a hill just before descending down to an intersection with HWY 63. That hill seems to be perpetually covered in fresh gravel. It makes climbing it a real chore. Wild flowers as seen from the ditch near Tom's farm. The first wild flowers that are not Dandelions are emerging now. I saw some nice purple ones and some pink-ish/purple ones in the ditch near Tom's farm where we stopped on last Summer's Geezer Ride. Apparently his peacock's weren't fond of me clambering through the ditch to get this image as the screamed at me while I was there. Hmm......I think there is a road grader in the area! Freshly graded fluff! I continued on toward the usual East turn off for the current 3GR course but instead I went West and covered the old 3GR course all the way back to Cedar Falls. Then the plan was to hook up bike paths, city streets, and alleyways back to the house to maybe squeak in a metric century. It didn't work out as I was about 9 miles short and out of time. Dang it! Trolley Car Trail. If they ever pave this it will break my heart. I'm betting it will get paved someday. Too bad if so. Well, that was disappointing, but it was a great day out on the bike. I'm not sure my shoulder could have taken much more anyway. That gravel was super rough out there. Black Hawk County must have a busted gravel sieve because I saw a lot of fist sized rock on the road today, which is very unusual. Whatever the deal, my shoulder was giving me fits. Other than that, it was a great day out on the bike. Yesterday I posted a review of the Soma Gator Bar and mentioned how I felt that the drop sections radius basically made the bar very difficult to like. It is my opinion, of course, but today I wanted to tell you why it is my opinion. I didn't just come to this opinion flippantly or by accident. Hopefully after this post, you will see why I feel the way that I do about this radius issue. I am not expecting that all will agree, or even a few, but hopefully this spurs you on to consider why it might matter to you. Well.......if you ever consider off road drop bars, that is. I am going to use a lot of visual aids today and first I want to point out a basic design feature of flat bars. Basic flat bars are generally set up close to parallel with the ground. Using my mini Blackburn pump for something actually useful, (that's another story! ), you can see how the pump lines up with the spaces between the boards on my front porch. This represents how a mtb handle bar is typically level with the ground. The reason this works is because the position your hands end up in promotes an "elbows out" and up stance, or as some refer to it as- the attack position- which promotes better control over the bike in rougher terrain. Sweep and rise notwithstanding, this is the basic handle bar position for off roading. This would be considered "bad" for a normal mtb bar to have as a feature. Most mountain bike handle bars with a basis in the flat style do not droop downward. This wouldn't be a preferred position for your hands in rough terrain because the bumps and lumps your front tire create going over a uneven surface would want to vibrate your hands down and outward, right off the handle bars. Typically this would be seen as a bad thing. Yes? Yes.....it would. This is important for a bit further down in the post. Now we get into a bit of history. Off road drop bars, at least in the modern sense, started with Charlie Cunningham and his bikes which featured modified Cinelli bars and his own stems to get the extensions up to a point where a flat bar's grips would be at from the ground. The bars were modified to flare out and sweep outward at the extensions a bit to allow for the wrists and forearms to have room to move side to side in difficult terrain without smacking the tops of the bars. It is important to note that these bars were designed to be ridden almost always in the drops. The brake hoods, (if there were anything other than the metal perch), weren't a place that was expected to be used much, if at all. The point was that the drop extensions oriented the wrists, arms, and shoulders in a much more natural, relaxed position. The theory being that this more ergonomic position was better for absorbing trail chatter, left the rider fresher longer, and required less energy to hold on to the handle bars. You will note that almost every drop barred 'Ham has the extensions level, or nearly so, with the ground. 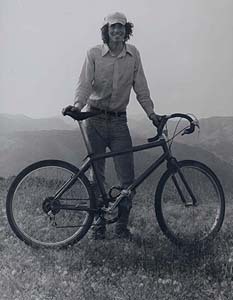 After Charlie helped found Wilderness Trail Bikes, the company made its own version of the original Cunningham modified bars for years. I remember mounting several pairs of them to cyclo cross bikes in the 90's. Then, WTB went through several changes, and the drop bar was cut from the product line, and that would be that for years. After a time when used WTB Dirt Drops were fetching triple digit prices on the used market, a couple of dirt drop aficionados helped design the On One Midge Bar using the WTB Dirt Drop as the design foundation. The off road dirt drop market was born again with the rising popularity of 29"ers and "monster cross" bikes in the early 00's. Several off road drop bars have followed in the wake of the Midge bar, but many have veered wildly from the basis of thought behind drop bars for off roading. Off road drop bars these days are typically not designed with the original intentions of the bars that Charlie Cunningham would have made or that WTB used to sell. These days it would appear that "uniqueness" is valued above function. Above we have an example of a bar that hits a middle ground of sorts when it comes to bars meant for off road use in the drop bar flavor. I'm not going to get into stems, or much about lever placement here. I am going to talk about hand positions and how the critical feature of a drop bar's radius used to bend the hooks affects those hand positions. If we take a bar like the Origin 8 Gary Sweep OS as an example, (shown above), we can see that by placing a priority on hand comfort at the ramps/hoods by placing that section level points the extensions downward at an angle which does a couple of things. Number one- It causes that "sloping downward" bar position like I described would be bad with a flat bar above. Bumps and lumps caused by the front wheel running over rougher ground is going to cause the hand to want to slip downward. The rider will have to counter this with a tighter grip. Not what we want in an off road drop bar, which should require less grip if the extensions are closer to level to the ground. Secondly, it cants the wrists backward into your forearms. This raises tension in the muscles, which again- is the antithesis to the reasons behind having a drop bar for off road use. An effective lever placement could be anywhere between the two red lines, depending upon the rider's preference. Now let's talk about lever placement in a general sense. Remembering that the primary hand position for an off road drop bar should be set up in the drops, that will dictate that you be able to reach and operate the brake lever, or "brifter", if using a multi-speed set up, from the extensions. That's why bars with more "open radius" drops are difficult to get right. If the bar is rotated too high, and the levers mounted so the hoods come off the ramps at a level to the ground way, usually you can't reach the lever effectively from the drops, and that is a big problem. You might say, "Well then! If I cannot get a good hoods position, then why bother?" Yes. Exactly, but also keep in mind that the primary place you need to have working above all others is in the drops. Now perhaps you can see that a really "open radius" design really limits the effectiveness of an off road drop design. You may have flare and sweep in the drops, but if you almost cannot use that position, what is the point? In the case of the Gary Sweep OS, a slight compromise in the ramps- having them slope downward slightly, away from the rider as seated, yields an extension position that points slightly downward, but is still usable. I find that if the extensions point in the general direction of the rear axle of the bike, it is okay. Anything forward of that, if the extensions point at the cranks, or even closer to the front wheel, that is a bar that is set up, or designed completely with disregard to the entire reason for having an off road drop bar. Again- why bother if that is the case? Finally, an off road, flared, swept drop bar is not for everyone. I get that, but if you think that a design with an extension pointing downward radically is a good thing, consider the Jones Bar. Do you ever see anyone pointing the extensions of a Jones Bar so radically downward? I have not. You may say, "It's a completely different handlebar. " Well, it is, but it isn't. I think of a Jones Bar as a "flat plane off road drop bar". There is sweep, multiple hand positions, and a definite component of reach, which drop bars have as well. Jones Bars are designed with multiple hand positions in mind, just like a good off road drop bar should have as well, but it is obvious that the "primary" position is where the grips and levers are. Just like a good off road drop bar should have. Again, if the radius of an off road drop bar precludes any of the aforementioned traits, and doesn't promote the ergonomic features that Cunningham and Jones promote, it is the antithesis of an off road drop bar design. That's my opinion, and with the above explanation, I think it is apparent why I feel that way. You have to decide for yourself what is right for you.